How to sign into websites with your face? Friends cyberlink youcam 5 released. 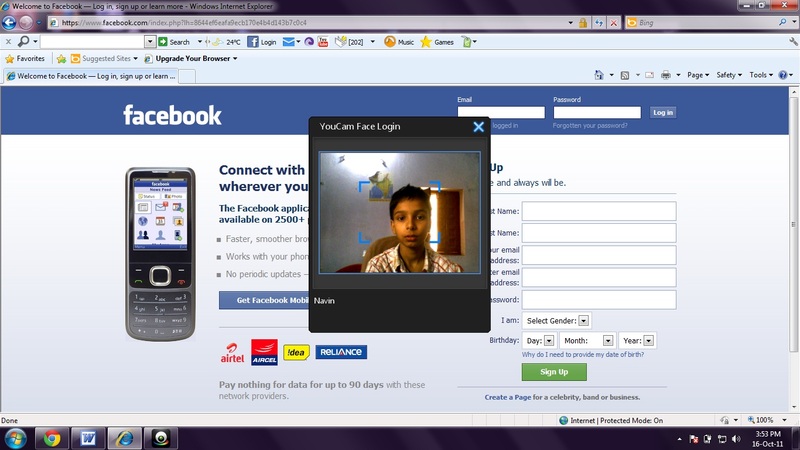 So, I am going to show you how to sign into websites with your webcam with the help of cyberlink youcam 5. 2. After downloading you click on utilities that is present in corner in right side. 3. Click on face login that is present in the utilities option. 4. Then place your face in the center of the webcam image and then click on capture. 6. Then you set accuracy setting. 7. After completion of all work you should click on ok.
8. Then you open internet explorer and put your face in the center of the webcam.